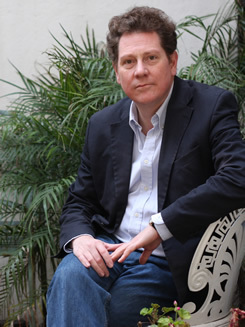 Andrew Lownie offers some advice on how best to present yourself to an agent. Authors are often angry, frustrated or shocked by the responses or lack of responses from agents and it might be useful to give some background and advice which might help with pitching to agents. Your book is special to you and may one day be to other people but at the moment it is just another submission. Authors need to remember that agents are inundated with submissions. Most have full lists already and need to concentrate on their existing clients. Of course we are looking for new talent but the chances of selling books from the slush pile are small. Some agents claim they have never sold anything from the slush pile though I take it very seriously, and personally look at almost twenty thousand submissions each year . Given each submission may be over forty pages long, that is a lot of reading to fit around the reading of my existing clients’ work, such as the fifty delivered manuscripts each year, and the normal work of the agency. The most promising submissions – some eight a week – once read by me are passed to one of my specialist readers where the average charge for a reading will be about £40; my bill for reading each year is over £15,000. Sometimes I will obtain several reports and spend years with authors reworking proposals and still fail to sell the book. Out of all those submissions, I will only take on around a dozen authors a year, and of those I might place eight. Address the agent correctly. I often receive proposals meant for other agencies, Mr Brown, Mr Mooney, Ms Lownie, the Andrew Lownie Litter Agency , the Andrew Lownie Literacy Agency. Sometimes the email claims to be addressed to me exclusively but refers to other agents in the CC field, or the text of the email. Make sure the agent actually handles what you are offering. Well over half my submissions are for genres which, in all the reference books and on my website, I categorically say I don’t represent. I don’t know of any agency that handles poetry and short stories. Pitch by email rather than by phone. It’s all about the writing. Try and personalise your email. It is easy enough now agencies have websites to find out the authors they handle. Look at the acknowledgements page of books which are comparable and try the agent who handled the book. Any email submission which I see has been copied to hundreds of other agencies is immediately discarded. A submission which shows the author has done research on the agency and comes with a recommendation is always taken seriously. Follow instructions. If agencies have a preferred format then follow it and customise your proposal. The format is generally the one that they find works with publishers and helps everyone assess the proposal most effectively. Don’t insist they read the whole manuscript. If the book is categorically rejected then don’t respond pointing out they have made a ‘mistake’. Move on to the next agency. It is a subjective business and agents turn down proposals, even perfectly publishable ones, for all sorts of specific reasons even if they don’t always give you those reasons. Agents understand that authors need to make multiple submissions to agencies but dislike ‘beauty parades’. It is not flattering nor encouraging to be told one is simply one of a hundred approaches . Time is limited and if one suspects the author may go elsewhere then one simply says no at the beginning. Keep quiet about multiple submissions and only send a few at a time so one can adapt submission in the light of response. Agencies are keen to find and nurture talent but they are inundated with submissions. Remember they are businesses not Citizens Advice Bureaux, manuscript evaluation services or a branch of Social Services. Don’t expect them to recommend other agencies within or outside their areas of expertise. Presentation is important. Check spelling and punctuation. Don’t underline or use exclamation marks. Don’t include lots of separate attachments, or send multiple emails for the same submission. One email with one attachment is ideal. Be clear. The concept of the book should be apparent in the opening sentence. Don’t use euphemisms "I would like to share with you my completed novel" etc. Don’t boast -the agent will be the judge of the quality of the material - but do highlight in a covering note what you think makes your book different and special. Not every idea makes a book. It might solely work as a television programme and long article. Not every book is sufficiently commercial for an agent or trade publisher. There are now plenty of opportunities to self-publish without being ripped off.